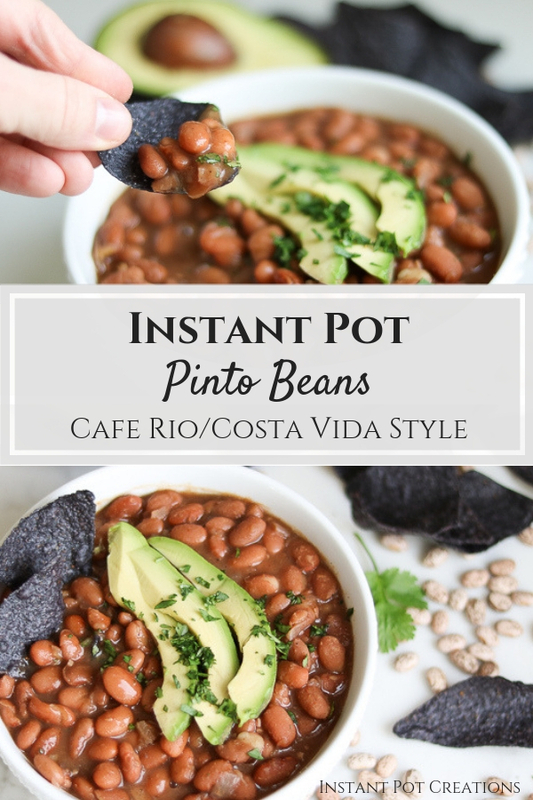 Instant Pot Pinto Beans Cafe Rio/Costa Vida Style - Jenuine Home - Interior design, decor, diy for your home and Instant Pot Creations for your tummy. 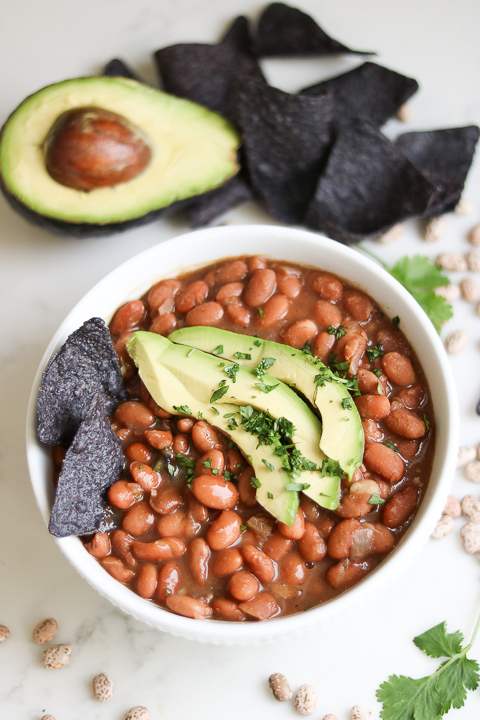 Instant Pot Pinto Beans that taste like your favorites from Cafe Rio or Costa Vida! 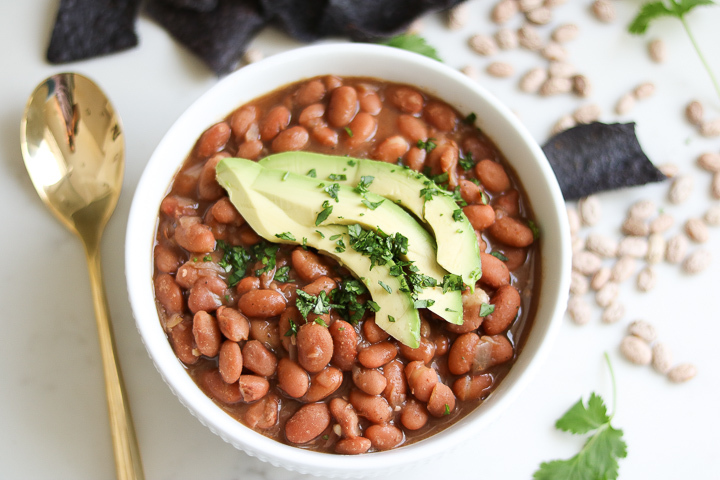 These Instant Pot pinto beans are cooked to perfection from dried without any pre-soaking needed! Delicious to eat on their own with some chips, paired with cilantro lime rice or your favorite Mexican dish. 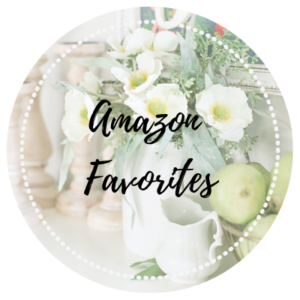 You guys have heard me sing the praises of the Instant Pot and how easy it makes cooking beans from dried to delicious in about an hour without any pre-soaking needed! 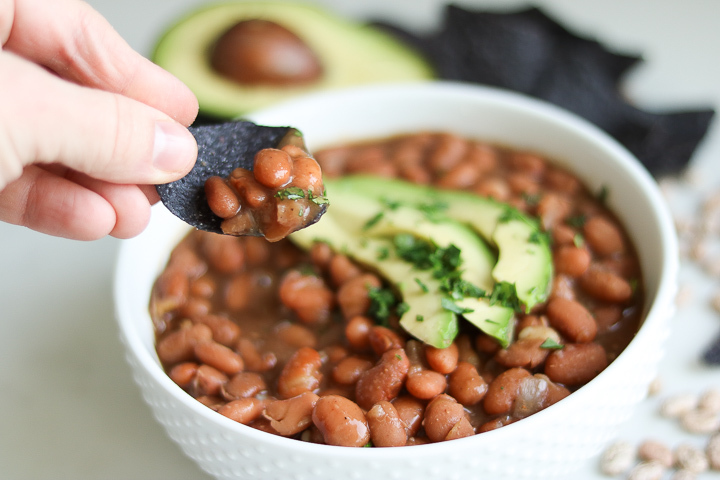 I’ve shared our FAVORITE Instant Pot Black Bean recipe that we love to eat with everything. Recently, I shared our easy and tasty Instant Pot Refried Beans recipe too. No need to remember to soak those beans ahead of time. You’ll still end up with delicious and tender pinto beans! I’ve even doubled the recipe in my 8qt Ultra with the same great results! I wouldn’t recommend doubling in the 6qt, due to manufacturer suggested guidelines of not filling the pot more than 1/2 full for foods that double in size. Even though you don’t need to pre-soak the pinto beans, I highly encourage you to sort them and rinse well. Once in a while, I will find small rocks or debris that have been accidentally tumbled into the beans during packaging. It’s worth the extra 5 minutes to do this. It’s also no secret that we love the pinto beans from our favorite Mexican fast food chain, Cafe Rio or Costa Vida. So naturally, recreating the pinto beans at home in the Instant Pot is completely normal, right? These beans have a simple yet deep flavor and the liquid thickens up naturally over time as the beans continue to release their starch. Straight up as prepared with some blue corn tortilla chips. Sprinkled over nachos, which is basically the same as #1 but with more toppings. Mixed in a burrito or taco! Served on the side of your favorite Mexican dish with some cilantro lime rice. Over a salad for added flavor and protein. My daughter loves using the extra bean liquid as her dressing! Add into taco soup for some extra flavor! To be honest, my hubby suggested that we keep this recipe our family secret. I laughed and told him that it doesn’t mean we would enjoy it any less often if I shared it with all of you. He said that this is probably his favorite thing I’ve made in the Instant Pot to date. 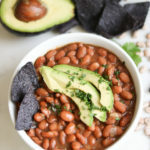 Instant Pot Pinto Beans that taste like your favorites from Cafe Rio or Costa Vida! These Instant Pot pinto beans are cooked to perfection from dried without any pre-soaking needed! Delicious to eat on their own or pair them with rice or your favorite Mexican dish. Close lid and turn knob to sealing. Pressure cook on high for 50 minutes followed by a 10 minute natural pressure release. Then quick release any remaining pressure. Open lid. Add salt and stir. Let beans rest for 10 minutes on keep warm with lid off. Stir again. The liquid will start to thicken up over time. Usually 10-12 minutes is all that is needed. It will be even thicker over night in the fridge. Serve right away with chips or with your favorite Mexican meal! Also freezes great. Thank you for sharing. I love all the info you give us it’s always so helpful. ? I was wondering if you could make these with canned beans that are already cooked. What do you think? Thanks!!! You could definitely give canned beans a little more flavor boost by adding the spices in the recipe. However, for the best taste, you truly need to try it from scratch. The flavor can’t be replicated with canned beans. I hope you give it a try! Thank you I’ll try it with dried beans. ? Tell your husband that’s so 1999 to keep family secret recipes 😉 Just teasin’! I can’t wait to try this! Haha! Thanks Marci! I thought it was so funny because he’s never said anything like that before! And I hope you like the beans!